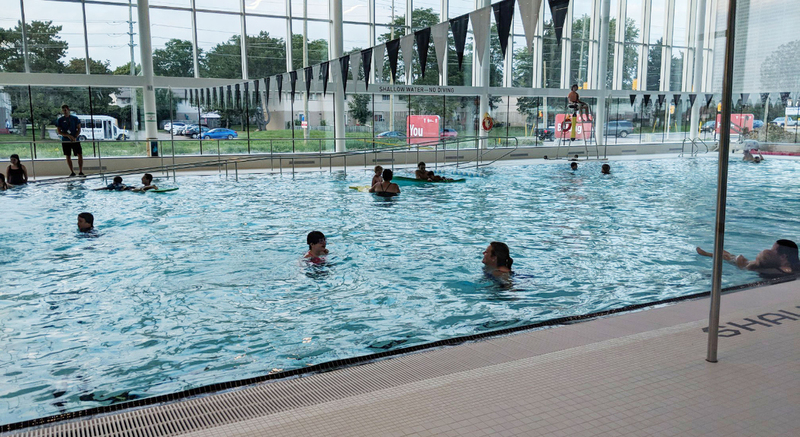 Following the success of the Stoney Creek Community Centre, built in 2011, the Bostwick Community Centre, YMCA and Library celebrated its grand opening on November 10th. Designed by MacLennan Jaunkalns Miller Architects (MJMA), the centre is home to a YMCA with an indoor pool and gymnasium, a branch library, two ice rinks, as well as community rooms and meeting space. It also has a 200-metre walking track, as well as a community kitchen right at the entrance and amphitheatre-type seating for public events. Acapulco completed the construction of the YMCA's brand new indoor aquatic centre in time for their September opening. The project included the construction of a 25M lap pool and leisure pool.